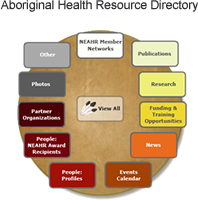 Funded by the Canadian Institutes of Health Research since December 1, 2001, the Network for Aboriginal Mental Health Research (NAMHR) is committed to building capacity for mental health and addictions research and knowledge translation in remote, rural and urban settings by working in close partnership with Aboriginal organizations and communities. August 16, 2019 (Montreal, QC) REGISTER NOW! There is no fee for the meeting but registration is required.